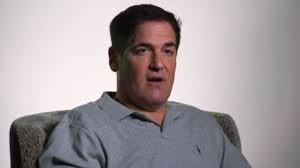 Dallas Mavericks owner Mark Cuban apologized Thursday to Trayvon Martin’s family over his choice of words in a videotaped interview in which he addressed bigotry and prejudice. Cuban even revealed some of his own prejudices in the interview with Inc. magazine, and said he believes everyone has “prejudices and bigotries” on some level. We're all prejudiced in one way or the other. If I see a black kid in a hoodie and it’s late at night, I’m walking to the other side of the street. And if on that side of the street, there’s a guy that has tattoos all over his face -- white guy, bald head, tattoos everywhere -- I'm walking back to the other side of the street. And the list goes on of stereotypes that we all live up to and are fearful of. But after his words – which came with the NBA still dealing with the fallout over racist remarks made by now-banned Los Angeles Clippers owner Donald Sterling – created a stir in social media and other circles, Cuban took to Twitter to offer his apology. When shown that excerpt of the interview Thursday, Chris Bosh of the Miami Heat cringed. “It’s just a sensitive time,” Bosh said. Cuban also told Inc. that he knows he is not perfect, and that “it’s not appropriate for me to throw stones.” The magazine posted about a 2 1/2-minute clip of Cuban speaking on its web site. “We’re a lot less tolerant of different views and it’s not necessarily easy for everybody to adopt or adapt or evolve,” Cuban said.